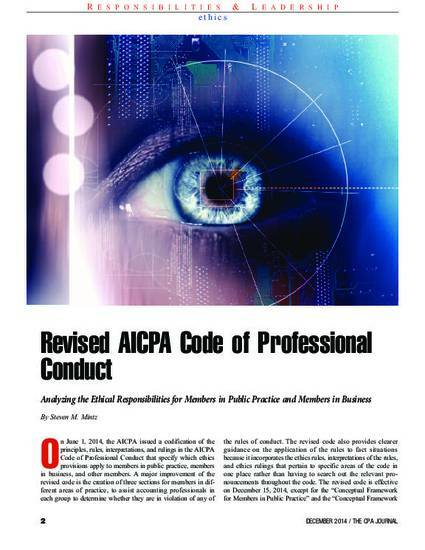 On June 1, 2014, the AICPA issued a codification of the principles, rules, interpretations, and rulings in the AICPA Code of Professional Conduct that specify which ethics provisions apply to members in public practice, members in business, and other members. A major improvement of the revised code is the creation of three sections for members in different areas of practice, to assist accounting professionals in each group to determine whether they are in violation of any of provision of the revised code. This paper explains those provisions as they apply to different members of the Institute.